VIP baccarat was a drag on Macau’s casino gross gaming revenue (GGR) performance in the first three months of 2019, falling 13.4 percent from the prior-year period. The rate of VIP decline was offset by the 16.1-percent growth recorded for GGR in the mass segment – inclusive of slot machine revenue – showed data issued on Tuesday by the city’s regulator, the Gaming Inspection and Coordination Bureau, a body also known as DICJ. Gaming bureau data showed that first-quarter aggregate VIP GGR was MOP37.21 billion (US$4.61 billion), compared to nearly MOP43.0 billion in the same quarter a year earlier. In the breakdown of first-quarter 2019, mass-market GGR including slots was MOP38.94 billion, compared to MOP33.55 billion a year earlier. Mass-market revenue as a proportion of all casino GGR in the period stood at 51.14 percent, taking the lead in the Macau market for the first time. VIP baccarat revenue as a proportion of all casino GGR in the period stood at 48.86 percent in the three months to March 31. In the preceding fourth quarter it had been 53.32 percent. Mass-market baccarat alone grew by 19.5 percent year-on-year, to nearly MOP29.88 billion, compared to MOP25.0 billion in the first quarter 2018. Mass-market baccarat had a 39.24 percent market share of Macau GGR in the first three months this year. A number of investment analysts have previously flagged to investors the benefit of growth in the typically higher-margin mass-market business. The Macau market recorded a slight decline of 0.5 percent year-on-year in accumulated first-quarter GGR, to a tally of MOP76.15 billion, as revealed in data issued on April 1. According to the official data released on Tuesday, GGR from slot machines was approximately MOP3.73 billion in the first quarter, down 2.3 percent on the nearly MOP3.82 billion in the first quarter of 2018. Slot machines’ share of Macau first-quarter revenue was 4.90 percent. First-quarter revenue from live multi game products – those featuring table-style games with live dealers but electronic betting and electronic bet settlement – was MOP665 million, an increase of 6.6 percent from the prior-year period. 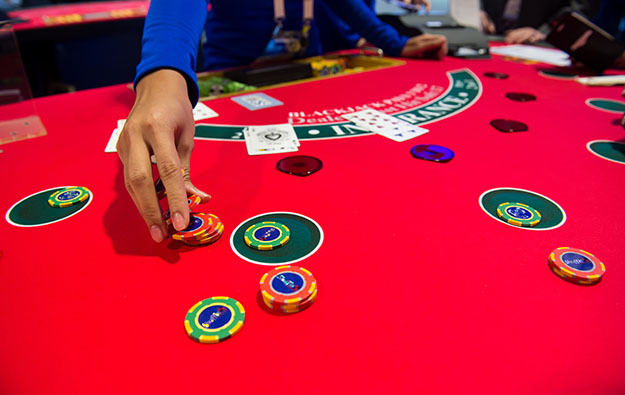 The number of live-dealer gaming tables in the Macau market stood at 6,624 in the first quarter this year, compared with 6,588 registered at the end of the preceding, fourth quarter. The number of slot machines in the Macau market stood at 17,122 in the first quarter, down 0.5 percent from the first quarter 2018 but up 6.6 percent from the 16,059 recorded as of December 31.